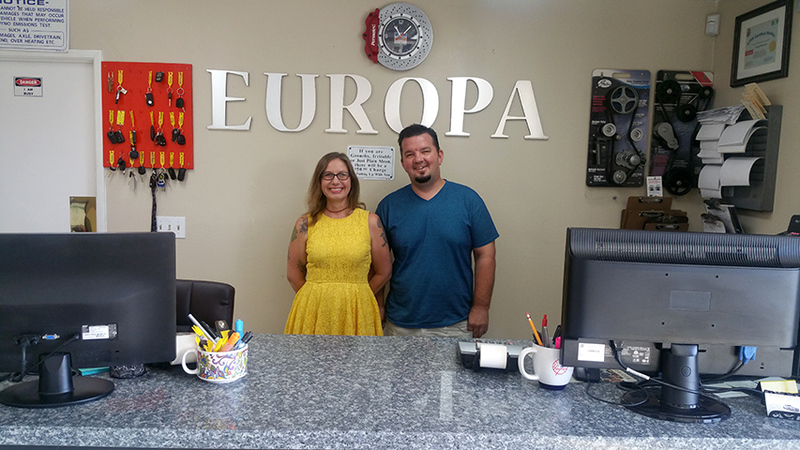 Come visit Europa Motors in Modesto! We are proud to specialize in Auto Repair. 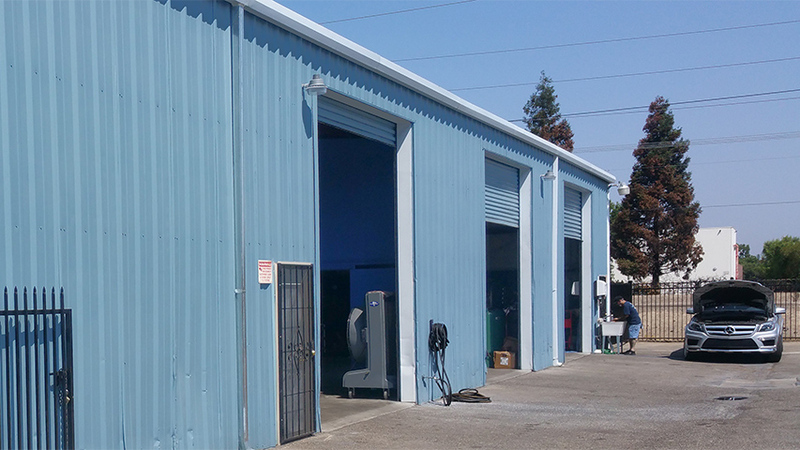 As the premier auto repair shop in Modesto, we have 2 highly-trained ASE Master Automotive Technicians that take great pride in supplying: Engine Repair, Brake Repair, Transmission Repair, and Auto Electrical Service. Each of our reliable specialists undergo extensive automotive repair training to meet all your auto repair needs. 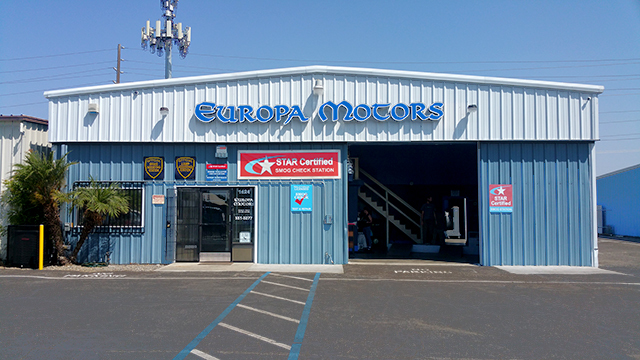 The owners and maintenance experts of Europa Motors have been honored to serve Modesto for the past 48 years. While we focus on Auto Repair, Engine Repair, Brake Repair, Transmission Repair and Auto Electrical Service, we also provide a long range of other auto repair services listed on our services page. 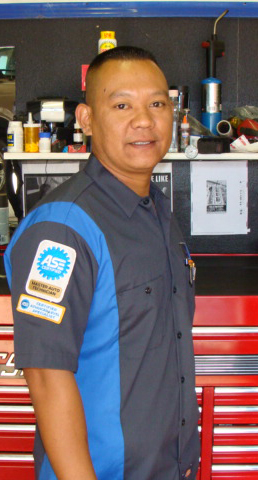 Our auto repair experts have built our reputation by providing consistently superior service here in Modesto. No matter what your vehicle needs, come see us at Europa Motors today! From Brakes to transmission to engine work, we are the best one stop auto repair shop in Modesto. We provide trustworthy, fast, reliable, and quality work at the right price. Dont just pass through; come see us for any of your auto repair needs. "If I could give this repair shop 6 stars, I would. I have been searching for that honest mechanic and I found it. I was concerned that my repair would be $700-$1300. Check engine light came on and I had 2 codes. I brought the car in, to very friendly office staff who told me that it would be $120 to diagnose and then whatever the repairs. They called me to tell me the problem, ordered the part & got the work completed quickly and efficiently. Total charge: $300. I cannot praise this shop enough. You have a customer from here on. I would recommend to family and friends. Good quality and honest. A perfect combination." "Serendipity or destiny? 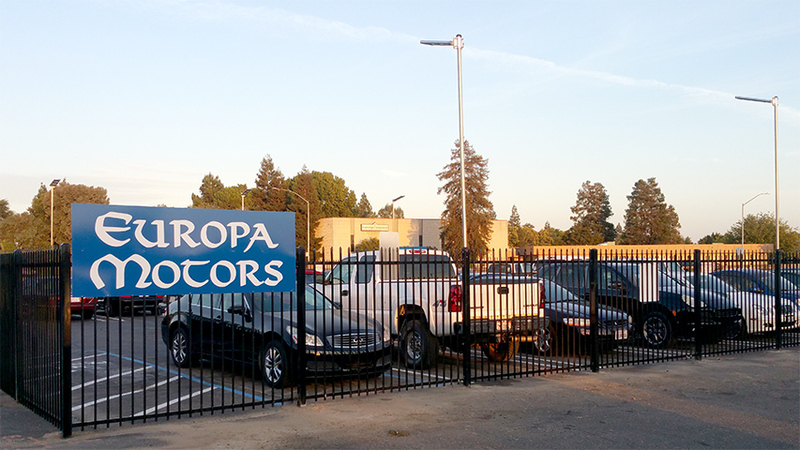 On a recent trip to Modesto, I just happen to break down literally steps from Europa Motors! And, I can't say I was sorry I had car trouble at all -- because, not only did I meet the nicest people I've ever met in the service industry, but I also discovered the BEST mechanic I have ever come across. First, they (Jenny/Jake & Marlon) came out ready to push my car to their shop. But Marlon instead decided to diagnose the problem right there; and in less 10 ten minutes, and in three systematic steps, Marlon figured out the reason why my trustworthy old Volvo wouldn't start. And he was absolutely spot on! Not only would I recommend them to everyone I know (foreign car or not), I would even make the 2-hour-drive from San Francisco to have Marlon work on my car. Thank you, everyone, at Europa Motors, especially to owner Marlon Sabiniano ! You absolutely made my day one day last week!" "So.....you are thinking of having work done on your car and you don't know where to go. You have been to many repair places and have good reason to not believe the estimates. Let us tell you that at Europa these people are HONEST and do fantastic work. You leave knowing that the work couldn't have been done better or quicker, and more reasonable. Jeanette, the manager, is brilliant in automotive and just a joy to have our solution explained. She is an asset to Europa Motors. So hit the road...end up at Europa and be glad you did!!!!" "Europa Motors is GREAT!!! This shop is not just for foreign make and model vehicles!!! They service American make and models, too!!! First thing in the morning, I noticed liquid under my car. I drove directly to Europa Motors (without calling first) --- I left my car, Jennifer called me within 2 hours with the diagnosis and said with my "ok" to fix/repair they would have my car back to me by the end of the day --- Jennifer called me right after lunch telling me my car was fixed and ready to be picked up. Absolutely GREAT service --- I was so pleased to have my car back in the same day!!! Jennifer is so pleasant and helpful, Marlon is professional and so personable. Miranda is friendly and helpful, too. I will continue to return with my auto repair needs. Marlon, Jennifer and all the staff are prompt, honest and so easy to deal with!!! Thank You!!!" Marlon replaced the engine, suspension and cooling system on my 96 Mercedes S320. Now, its feels like driving a new vehicle. Marlon's expertise, craftsmanship and professionalism are unsurpassed. I know this, because years ago, I have taken my vehicle to a local dealer and there were issues they could not solve, but Marlon did. Not because the dealer had lack of knowledge. But with Marlon, he cares about his customers and the work he is task to do. That's why he gets the job done. But more importantly, Marlon has always been honest, straight forward and fair. I have truly found a jewel in the automotive repair industry and he is just a block away from me. Europa Motors is worth every penny. Thank You Marlon!!!!" "I have found a gem in Europa Motors! I have had several things done on all 3 of our cars and have been so impressed with Marlon's expertise, quality workmanship and overall experience of being satisfied with the work he has done. Everytime he works on my car it drives like it's brand new! I really have found a mechanic I trust! All the staff at Europa Motors are worth every penny! I wouldn't go anywhere else. Thank you Europa Motors!"